Even though it’s free, the vision of the founders and planning committee is big picture focused. Just to name a few of the amazing people who are sharing their wisdom during the week. In this episode, I share 10 tips on how you can have a phenomenal experience at this year’s Denver Startup Week event. Can’t wait to see you there! But, it’s not. Instead, I will talk about my defection from my childhood favorite of peanut butter wrapped in a questionable, yet delicious, chocolatey shell. I have always loved the combination of peanut butter and chocolate. And in my innocence, I believed that nothing could be better than a Reece’s Peanut Butter Cup. As a huge supporter of local businesses and local product I am always on the lookout for new products that are made in Colorado. When that new product also happens to include chocolate and peanut butter I am 100% committed to checking it out. 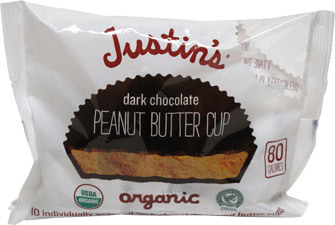 So, I bought my first Justin’s Peanut Butter cup several years ago and with the exception of another product from also made in Colorado, nothing has stood between me and my Justin’s Chocolate Peanut Butter Love. My personal favorite is the dark chocolate and peanut butter cup. Because dark chocolate is technically good for your health. I am actually doing something that is medically sound by eating at least one package a week. I open the package slowly with slightly shaking hands. I want to devour them but instead, I eat them slowly usually with a cup of soy or almond milk. Or, I have a nice cup of coffee and the marriage of hot coffee and melted chocolate and peanut butter aren’t to missed. Some people will complain that Justin’s are a little more expensive. And they are. But, they are worth every penny. Hey, vegans-you can eat them too!! Have You Eaten Justin’s Peanut Butter Cups? Did You Like Them?